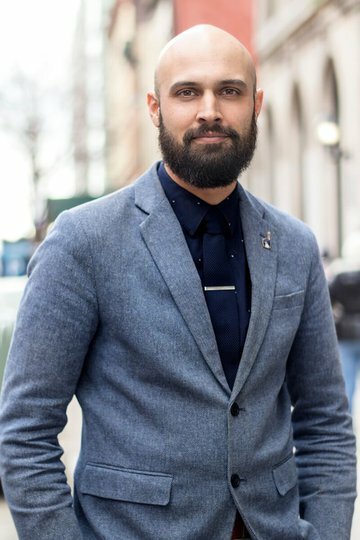 Daniel started his real estate career at aptsandlofts.com as a leasing agent in Williamsburg, Brooklyn. Quickly he rose through the ranks becoming a Project Manager specializing in sales and new development condominiums. Eventually he was a Senior Project Manager working directly with sponsors and building management entities. After five years, Daniel accepted a position as Director of Sales and Leasing at MNS, a brokerage firm in Williamsburg focusing on exclusive marketing and sales for new developments in Brooklyn and Manhattan. Daniel joined CitiHabitats as a Senior Managing Director for their Cobble Hill office. There he helped build and grow the careers of both new and experienced agents. He increased the office's portfolio of exclusive new developments and managed existing building exclusives. At REAL, Daniel will be acting as Managing Director, overseeing both sales and rental divisions. He is tasked with growing production and profitability of the company's offices in Manhattan and Brooklyn, increasing individual agents' productivity, and building out a new development sales division. Daniel is a native of Los Angeles, CA, and first moved to New York City for art school. An accomplished painter and designer, Daniel is represented by art galleries on both coasts. He is a current resident of Williamsburg, Brooklyn. When he's not working, he enjoys spending time with his dog, a white Labrador Retriever, in McCarren Park.